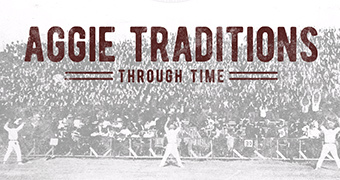 Monday, April 22, is the most popular choice so far for 2019 Aggie Muster events. Association of Former Students staff expect many other Musters also to choose alternate dates. Musters are usually the largest annual gathering of Aggies in their area, and it’s common for organizers to choose a date that best fits their community’s needs. And while the student Muster draws the largest crowd, most Aggies’ names are not called in Reed Arena. 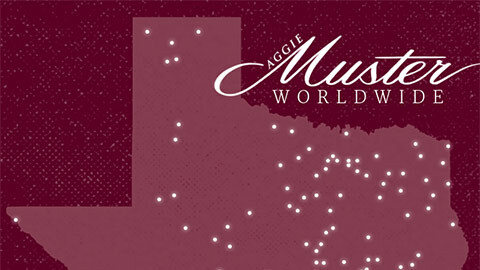 To learn where your Aggie’s name can be called, visit tx.ag/WhichMuster. 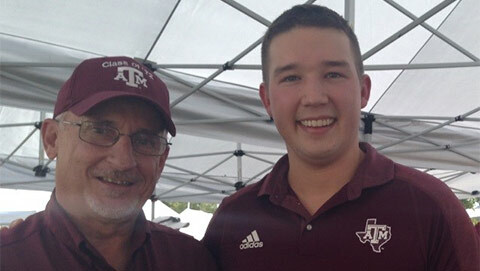 Like the other 300-plus Musters worldwide, the Muster in Reed serves primarily its local community — in its case, mainly students and the Aggies of A&M’s faculty and staff. More than half the Musters already registered for 2019 at tx.ag/FindAMuster will be held on a day adjacent to April 21, rather than on Muster Day itself. The Association can help you host a Muster, send invitations and find a speaker. The student Muster Committee’s April 22 event date was set in consultation with many groups and with the full support of the Class of 1969, whose 50 Year Reunion will be held in conjunction with the event. Historically in many years, large numbers of A&M students have left campus during the weekend of Easter Sunday. That’s caused difficulties for Muster planners before. In the 1930s, it was less so, because Muster in those years was mostly a former-student event off campus — and in fact, it hadn’t even been named “Muster” by The Association yet (though there were certainly campus San Jacinto Day celebrations as far back as the 1870s). 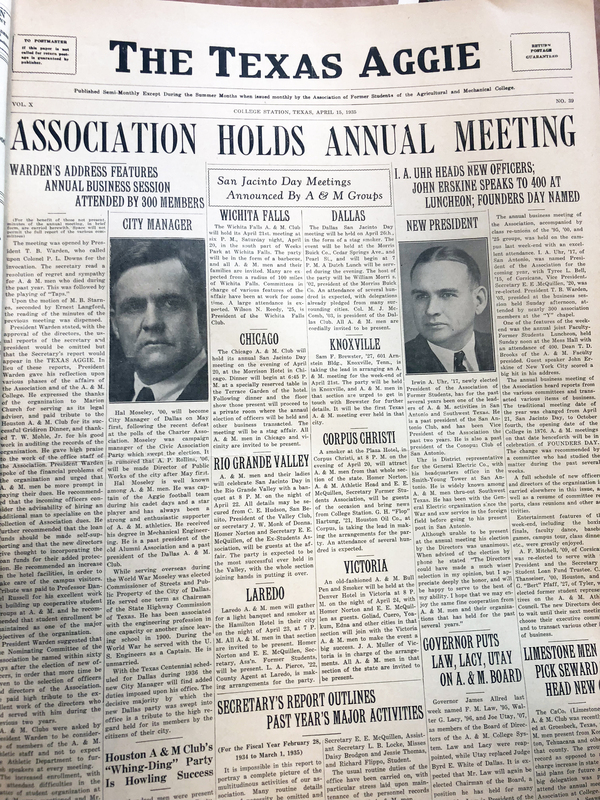 Former students regularly held “San Jacinto Day meetings” in the 1920s and '30s. 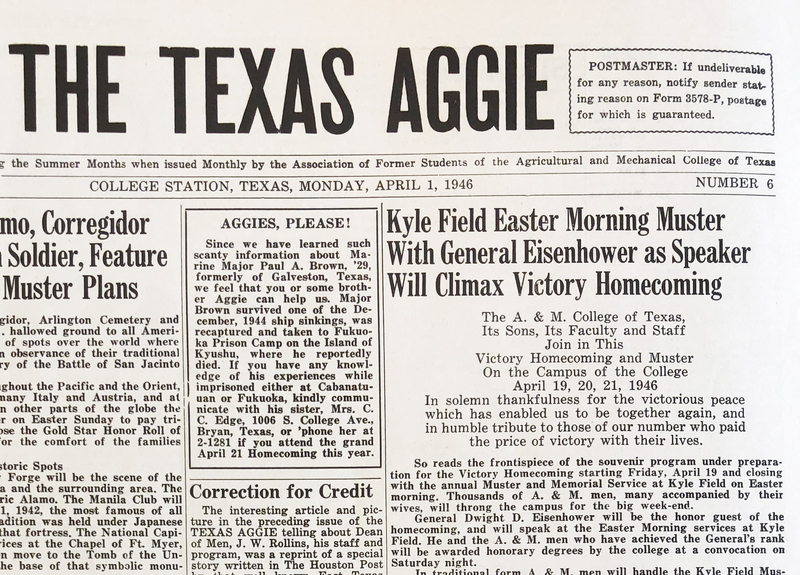 For 1935, when Easter fell on April 21, gatherings listed in the April 15, 1935, Texas Aggie ranged from April 20 to April 26, both during and after the Easter weekend. The first student Muster was held in 1944, and since then, April 21 has coincided with Easter Sunday only twice, in 1946 and 1957. It won’t do so again until 2030. 1946 was a giant victory homecoming Muster, celebrating the end of World War II, with thousands of former students returning to campus; Gen. Dwight Eisenhower addressed the Muster crowd in Kyle Field. 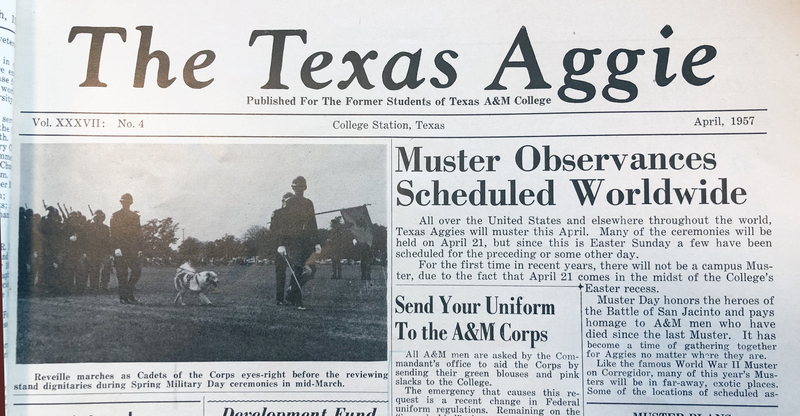 In 1957, no student Muster was held at all; cadets were urged to attend their hometown Musters, and former students living in the area held a Brazos Muster on the 21st in Hensel Park. With more than 1,600 names each year on the Worldwide Muster Roll, no Muster calls all names. 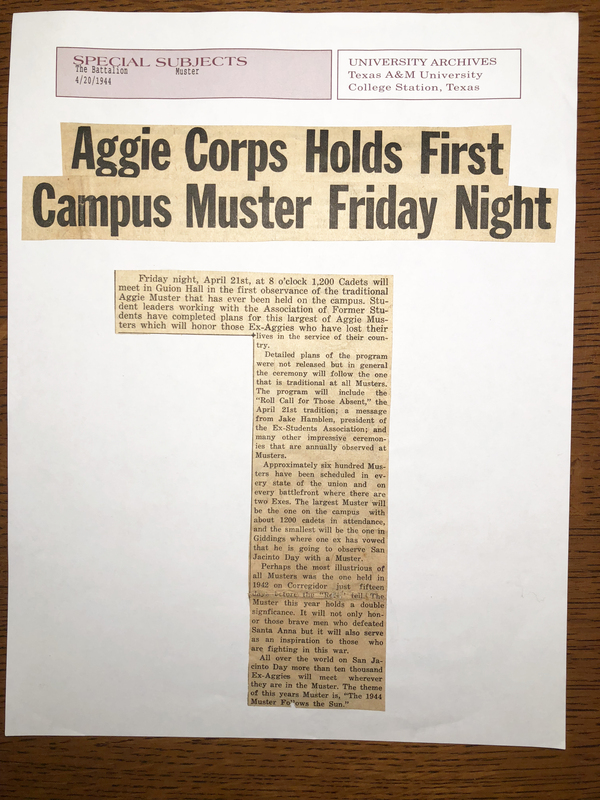 Most Musters are dinners, picnics or other convivial events — befitting the dual purposes of Muster, which are to remember the fallen and to get together in camaraderie with fellow Aggies. A large Muster such as Houston or Brazos County might call 150 names (there are typically multiple Musters in such areas). It is widely believed that the student Muster calls or used to call the full roll each year, but historical records do not support that belief. 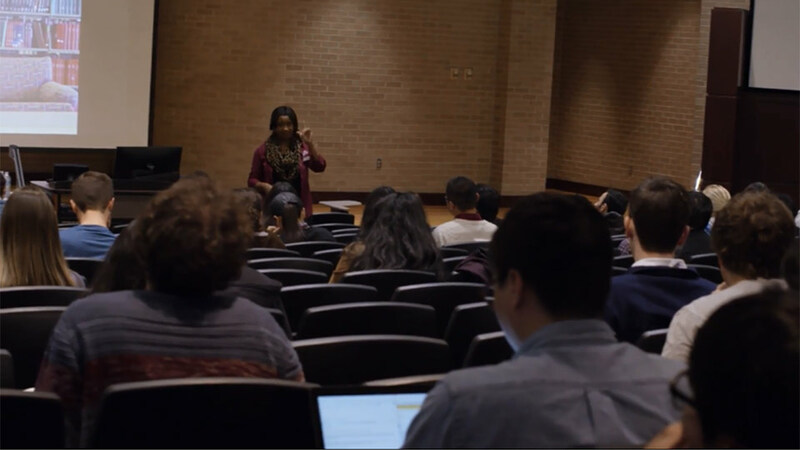 However, this year The Association took on the charge of calling every single name and answering “Here” in a reading, the Live Worldwide Roll Call, that is not a Muster gathering in terms of attendance, but is streamed via the internet and heard across campus from the building speakers at the Clayton W. Williams, Jr. Alumni Center. This first happened in 2018 and is planned again for 3 p.m. on April 21, 2019. A recording of 2018’s Live Worldwide Roll Call is available for replaying. The Worldwide Muster Roll is maintained by The Association, and includes the names of all Aggies whose deaths have been reported to The Association since the previous Muster. Learn how to place an Aggie’s name on the list and how to help a family or friends find their Muster at tx.ag/AddAName. Gifts made to The Association of Former Students pay to print and mail thousands of invitations to Aggies for local Musters, help provide Muster packets and Muster speakers, and allow the daily maintenance of the Worldwide Muster Roll and other services. Add your support at tx.ag/give.